The Brighton Timber Tallboy offers the functional benefits of 5 spacious drawers, with 2 smaller drawers up top and 3 larger drawers below. 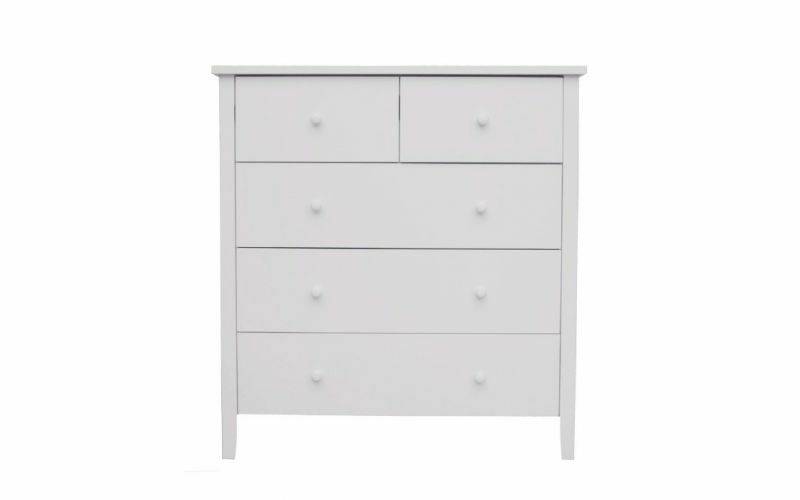 The stylish timber finish delivers a sleek and modern design that makes the Brighton a great addition to any room. The Brighton is made from the highest quality materials ensuring long term durability and long lasting quality. Strong metal drawer runners pull out smoothly so you can open the drawers quickly and easily. 5 quality drawers mean you can easily keep your room neat and tidy and help de – clutter your living areas. A quality flat top surface makes it an ideal place to feature your most prized possessions. Ask us if your Brighton Timber Tallboy is available now.